Our friends all know that travel has been our big hobby for a long time. We also have a bit of trouble keeping track of time and place—things tend to blur together—so I've made these documents to keep track of things. You might turn up in them! I know everyone uses Google maps, and hardly anyone has ever paid attention to Google Earth. 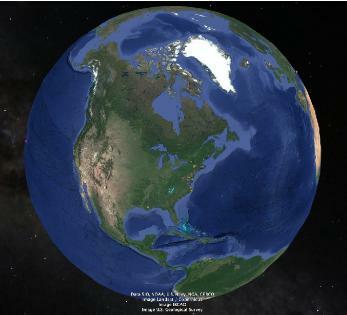 I love Google Earth: it's a much more interesting way to view. Here is Google Earth's attempt to show all the places we've been. It can't quite be done; Turkey and Hawaii don't show at the same time. I just like that. Really this started this documentation stuff, when we tealized we couldn't keep beach vacations straight; they all started to blend together. So here's a list of vacations and travel. You might have been there!